I knew going in that I was taking a gamble. 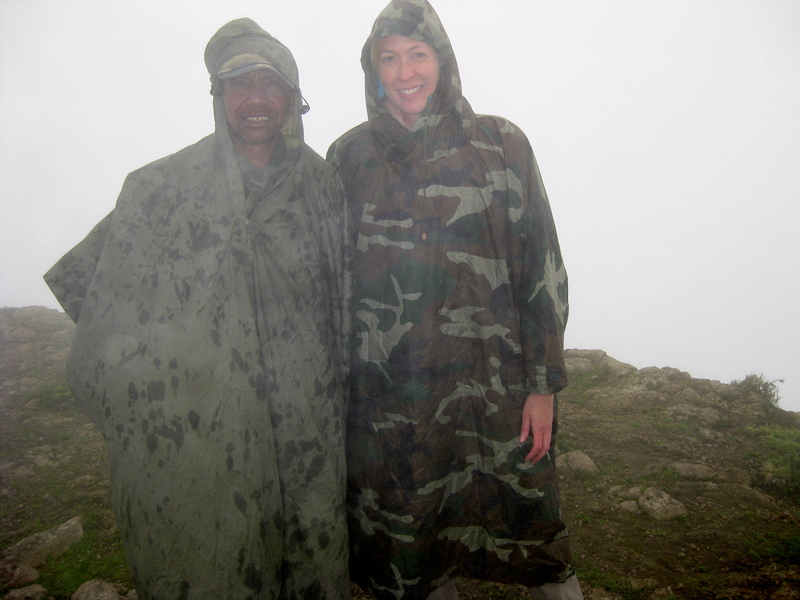 It was rainy season, and I had been warned that rainy season in the Simiens can be quite awful. Hiking in the rain anywhere can be quite awful. But as we drove into the Simiens, I was glad I had taken a chance. The area is unbelievably beautiful and pastoral. It’s a World Heritage sight and a national park, but quite a few people and livestock live in the park. I loved the combination of incredible natural beauty and interaction with locals. And the absence of other tourists. Most of the time, all I could see was a thick wall of dense, white fog. 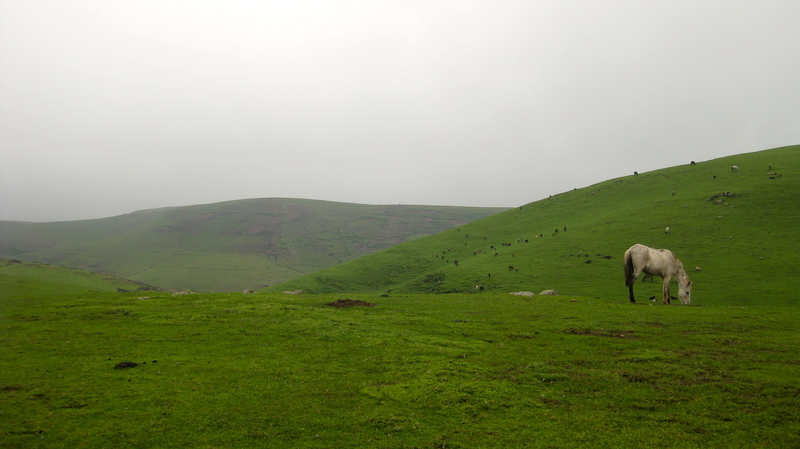 But when the fog would occasionally break, I was rewarded with glimpses of the surrounding countryside, the rolling hills, pastures and rugged mountain ridges all a color of green so bright it hurt my eyes. Along with my guide and armed security guard, I hiked along centuries-old trails used by locals, trading ‘selam’ (hello’s) as we passed. Sometimes it felt like we weren’t hiking on a trail at all. 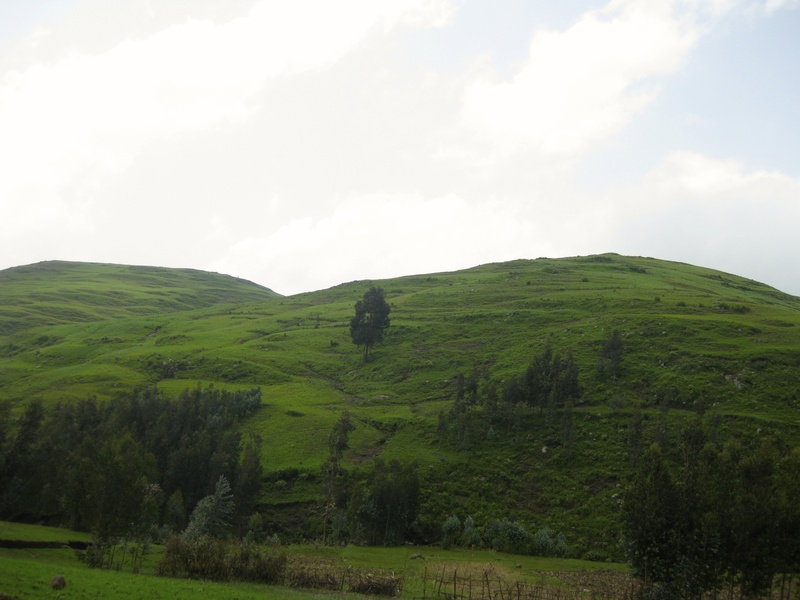 We walked through (often slipping and sliding) wet, tall grass or dense forest. At other times we cut through pastures along side 7-10 year olds herding cattle, goats and sheep. Not another faranji in sight. 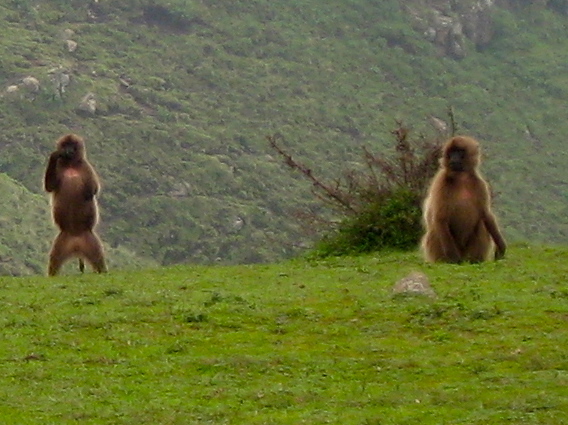 We saw groups of gelada baboons, called bleeding heart baboons because of the red shape on their chests. We passed people carrying live chickens to market, feet tied and hanging upside down on a wooden rod. We saw a beautiful waterfall, one of the benefits of going during rainy season. The food was amazing, and I quickly learned that “Enjoy, Michelle. Enjoy” is code for “You must eat more”. 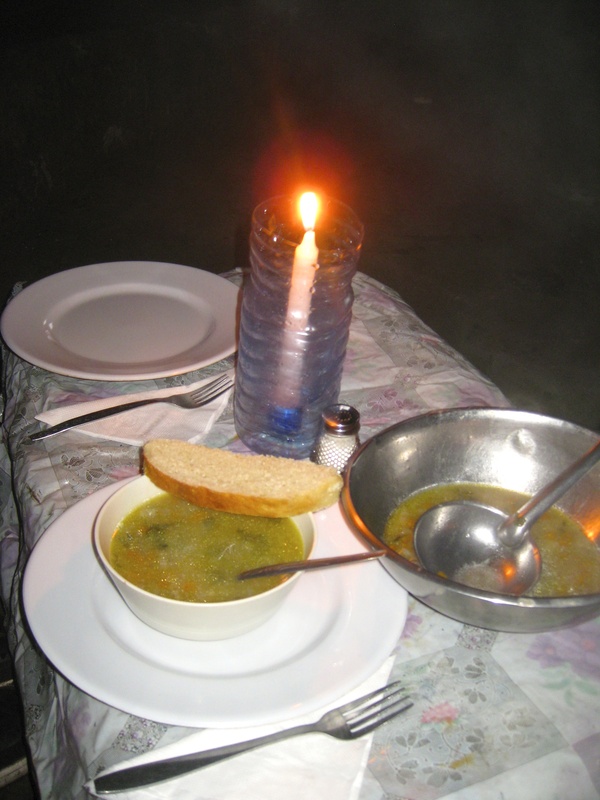 My guide and I ate while sitting around a metal chest with a tablecloth and candlelight. First course a veggie soup. Second course roast chicken, rice and vegetables. Third course fruit cocktail. However, the most memorable afternoon in the Simiens was spent with two 12 year-old Ethiopian boys who visited our hut and decided to stay. While waiting for dinner, I showed them pictures of “America” on my iphone. I won’t forget how they whispered America so wistfully. We laughed at a video of my niece singing and dancing in front of a mirror. But proving children everywhere aren’t really that different, they were quick learners when it came to Angry Birds. When the iphone died, we headed outside to play games like Hide & Seek and their version of Hopscotch. Me showing them games I knew, and them showing me games they played. Often the best part of traveling is a collection of random moments and personal connections that add up to a very memorable trip. 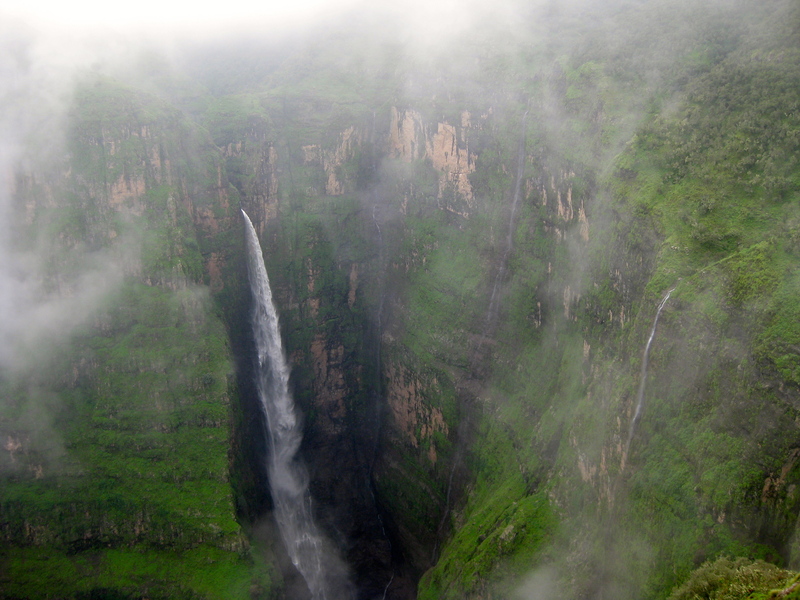 That was the Simien Mountains (and all of Ethiopia) for me. 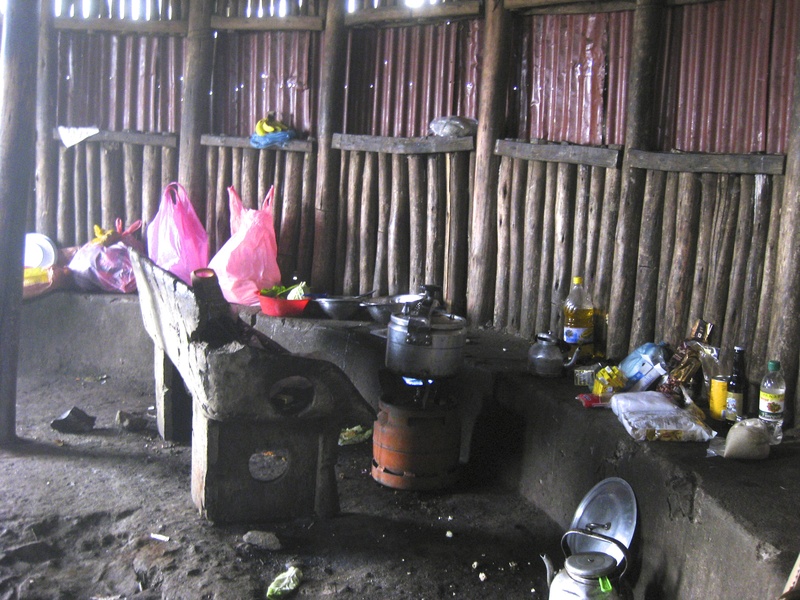 No amount of rain could have damped my Simien’s experience.